Twin Cities Veg Fest 2014 will take place on Sunday, September 28, 2014 from 10am to 4pm. Yes, it’s a Sunday this year! The festival will take place at Coffman Memorial Union at the University of Minnesota, Twin Cities in Minneapolis, Minnesota. 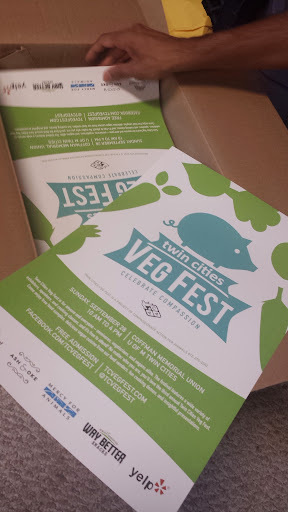 Twin Cities Veg Fest is for anyone and everyone – from omnivores to vegetarians and vegans! If you’ve ever thought about becoming vegetarian or are interested in reducing animal suffering, you’ll love Twin Cities Veg Fest. Have fun and try lots of yummy things.